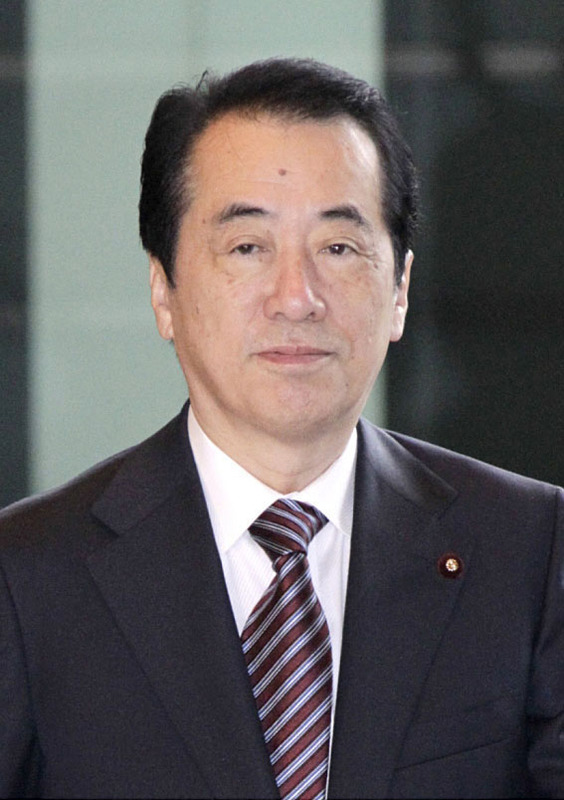 TAIPEI - Former Prime Minister Naoto Kan urged Taiwan to close all its nuclear power plants, as the island’s legislature prepares to tackle the matter when it reconvenes next week. Kan told an audience in Taipei that his experience dealing with the Fukushima nuclear crisis, which began in March 2011, changed his views on nuclear power. 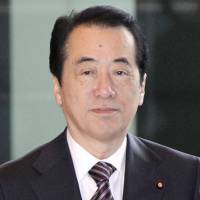 Kan said he has two 1-year-old grandchildren, and what his generation should do for the sake of future generations is close all nuclear power plants and abandon nuclear energy. While many people are concerned electricity prices might rise without nuclear power, Kan said Japan’s experience after the Fukushima meltdowns has demonstrated it has plenty of power even with only one reactor operating in the entire nation. By improving technology related to renewable energy and thoroughly adopting energy-saving measures, he said, people can still live comfortable lives without atomic power. Kan, who arrived in Taiwan on Thursday for a four-day visit, went to see one of Taiwan’s three nuclear power plants on Friday. Taiwan’s reactors have been running safely and profitably for many years and now supply nearly 20 percent of the island’s electricity. A fourth power plant is expected to go online in 2015, but many people are calling for the project to be suspended. The administration of President Ma Ying-jeou has announced plans to hold a public referendum — now pending in the legislature — on whether to stop construction, but the lawmaker who proposed the referendum said he has decided to withdraw it — a decision that also must be approved by the legislature. During his visit, Kan also attended an antinuclear rally and met with New Taipei Mayor Eric Chu and Taipei Mayor Hau Long-bin. An estimated 8,000 people took to the streets Saturday in Tokyo to protest nuclear power plant restarts ahead of the scheduled shutdown of the nation’s sole operating reactor. Sunday’s suspension of a reactor in Fukui Prefecture will leave Japan nuclear-free for the second time since the Fukushima disaster erupted in 2011. The reactor at Kansai Electric Power Co.’s Oi plant was set to be taken offline for a routine checkup, leaving all of Japan’s 50 commercial reactors idle for the first time in about 14 months. The demonstrators marched through Koto Ward and surrounding areas after an anti-nuclear rally organized by Nobel literature laureate Kenzaburo Oe. Another speaker, writer Keiko Ochiai, questioned the assertion Prime Minister Shinzo Abe made to the International Olympic Committee last week that “the (Fukushima) situation is under control.” Tokyo ended up winning the 2020 Summer Olympics. “Can you say the situation is under control even though contaminated water keeps leaking?” Ochiai asked.